Python is a general-purpose high-level interpreter based computer programming language that has gained popularity over the years for its versatile role – from being able to support simple object oriented programming to facilitating analytics and web development. 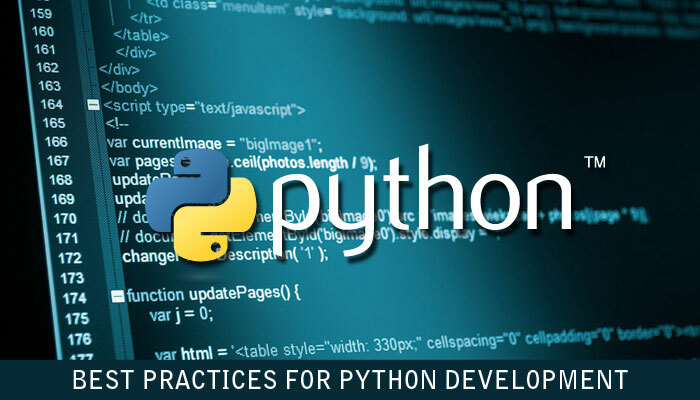 Like most programming languages, Python offers an extremely powerful development platform to create some of the most useful and robust applications imaginable. Python used in many development areas, like web development (Django, Flask), data analysis (SciPy, scikit-learn), desktop UI (wxWidgets, PyQt) and system administration (Ansible, OpenStack). The Python Package Index (PyPI) contains plenty of third-party modules that make python suitable for connecting and interacting with most of the other major platform and languages. This Programming language is easy to code and learn. The common expressions trims out a lot of programming fat, allowing to shorten the length of the code. The code style rules, PEP 8, give an arrangement of rules to encourage the designing of the code. Python lets the developer to build more functions with fewer lines of code. Speed and productivity plays an important role in programming language . Python has clean object-oriented design, which boost the process control capabilities. Strong capabilities of python like integration, text processing and own testing framework, contribute to the increase in its speed and productivity. Python has developed a reputation as a solid, high-performance language. Lots has been done in recent years to get to this point. The PyPy project aims to speed up Python as a whole (and is doing a great job of it). And Numba is another tool that can offer amazing speedups by implementing high performance functions written directly in Python. Generators are helpful in memory optimization because they allow you to create a function that returns one item at a time rather than all the items at once. A good example would be when you’re creating a large list of numbers and adding them together. Python is maintained through a community of developers who are committed to keeping the software current and robust. Each new release of the language is technically going to be faster and more optimized than before, so it’s a good idea to plan your move. Just be sure that your favorite supporting libraries are compatible with the newest versions. The consensus is out that too much looping in any programming language is not a good thing, and puts unnecessary strain on your server. Some simple tweaks like storing the length of an array in a different variable instead of making it read the length at every iteration of the loop, can go a long way to optimizing your code and ensuring things run much more efficiently. It is often the case in programming that simplest is fastest. In this day and age performance is critical and it’s especially important to keep your Python code as compact as possible to reduce latency and speed things up. Your Python-based applications and websites are only as good as the performance of your infrastructure, which is why application performance is too important to leave to chance. What this requires is the best-in-class monitoring capability for all your IT systems. There are lots of open source tools available that you can use to make your code compliant with standard style guidelines and best practices for writing code. Pylint is a Python tool that checks a module for coding standards. Pylint can be a quick and easy way of seeing if your code has captured the essence of PEP-8 and is, therefore, ‘friendly’ to other potential users. When it comes to improving the execution time of your multiple-task code, you may want to utilize multiple cores in the CPU to execute several tasks simultaneously. It may seem intuitive to spawn several threads and let them execute concurrently, but, because of the Global Interpreter Lock in Python, all you’re doing is making your threads execute on the same core turn by turn. To achieve actual parallelization in Python, you might have to use a Python multiprocessing module. Generally, all the pip dependencies of a project are specified in a file named requirements.txt in the root of your project. Another person trying to run your project can simply install all the requirements using this file with the command pip install -r requirements.txt. It is also a common practice to put the dependecies required for running your tests in a separate file named test-requirements.txt. it is often advisable to use Virtual environments (lightweight, self-contained Python installations) to avoid conflicting versions of a dependency across multiple projects while developing. It’s often helpful to analyze your code for coverage, quality, and performance. Python comes with the cProfile module to help evaluate performance. It not only gives the total running time, it also times each function separately. nose – can run unittest tests and has less boilerplate. pytest – also runs unittest tests, has less boilerplate, better reporting, and lots of cool, extra features. Running tests in a real world environment. There are cases when tests pass on some architectures and fail on others. A CI service can let you run your tests on different system architectures. Enforcing coverage constraints on your codebase. Python is easy and versatile. With its quick and fast approach it makes life easy for those who work with data. It is also the first step in many new age technologies like Machine Learning, Data Science, and Artificial Intelligence. It is the 5th most popular programming language in the world, and the 1st in data science and machine learning market. It is also used by industry giants like Google, Spotify, Netflix to generate insights, and build products.